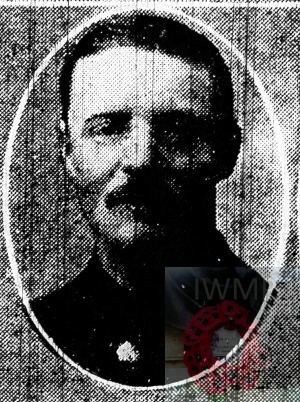 Died: 20th July 1916; age 36; KiA. Employed: at Mr. Curtis’s Fish Shop, Westgate Street. Date of Entry Therein: 27th April 1915 – France. Relatives Notified & Address: Son of Eliza Carter (formerly Clarke), of 24, James Street, Ipswich. 1881 52, Currier’s Lane, Ipswich. Henry was a year old and living with his parents & step siblings. Henry Clarke, 41, a Boot Finisher, born Ipswich. Eliza Argent Tampin (nee Tricker), 28, born Ipswich. William Henry Clarke, 17, a Boot Finisher, born Ipswich. James Louis Clarke, 13, born Ipswich. Charles Clarke, 10, born Ipswich. Amelia Tampin Tricker, 10, born Ipswich. Alice Sarah Tampin, 5, born Gateshead on Tyne, County Durham. 1891 36, Portman Road, Ipswich. Henry was 11 years old and living with his mother, step father & step siblings. Joseph Carter, 50, a Coal Carter, born Oakley, Esssex. Ernest Valentine Carter, 3, born Ipswich. Stanley Richard Carter, 1, born Ipswich. baby son, 2 days, born Ipswich – Oliver Robert Carter. 1901 36, Portman Road, Ipswich. Henry was 21 years old, a Butcher – Journeyman. He was living with his mother, brother, step father & step brothers. Joseph Carter, 60, a Coal Carter. 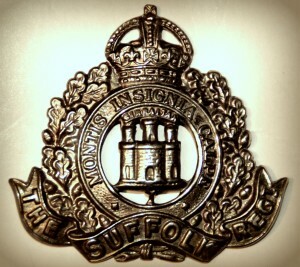 Herbert J. Clarke, 17, a Porter – Ironmongers, born Ipswich. John Leonard Carter, 7, born Ipswich. 1911 5, Cumberland Street, Ipswich. Henry was 34 years old, a General Labourer – Flour Mill. He was married and Head of the Household. Florence Mary Clarke, born 1905, Ipswich. George Henry Clarke, born August 1907, Ipswich. Violet R. Clarke, born 1911, Ipswich. John E. D. Clarke, born 1914, Ipswich. Henry’s father, Henry Clarke, died 1884, Ipswich. Harry is also remembered on the war memorial at St. Nicholas Church, Ipswich. 2nd Battalion The Suffolk’s regimental records show: On the afternoon the Germans counter-attacked, forcing their way with fine courage but at great cost into Delville Wood and northern end of Longueval, which troops of the third division had just cleared. In consequence, two companies were sent up to Longueval ridge to support the attack of the 1st Gordon Highlanders on Longueval, the remainder of the Battalion moving from the wood into Caterpiller Valley itself, where they were persistently shelled. Early on the 19th Captain and adjutant Trollope and Lt. Pickard-Cambridge were wounded, 2nd Lt Russell taking over the duties of adjutant. Throughout the time of stress captain Marshall R.A.M.C medical officer to the battalion always proved himself equal to the occasion, being subsequently awarded the D.S.O in recognition of his splendid service. On the 20th the battalion assembled for the renewed attack on Longueval and Delville Wood. The casualties were to be high.